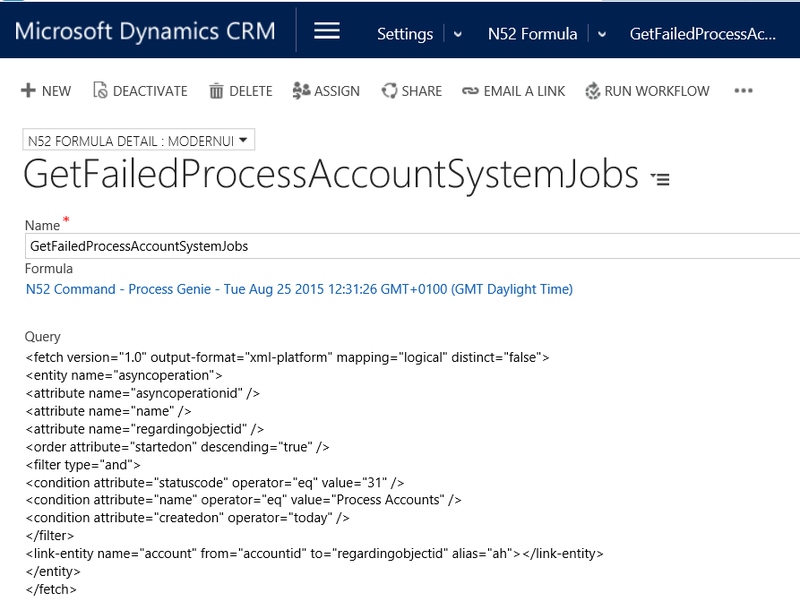 In this scenario we need to retry failed system workflows on the Account entity with the workflow named 'Process Accounts' on a daily basis. **Note 1 : Please note that the 'Process Name' field on the action must contain as the last word the exact same name as the Unique Name that Microsoft generates for you on the Action. This is due to a bug when you execute fetch-xml to lookup at run-time the unique name of the Action. We logged this bug on Connect with Microsoft but it has yet to be resolved. Please see below the wizard you can use to create the ExecuteWorkflow() function call used in this formula. 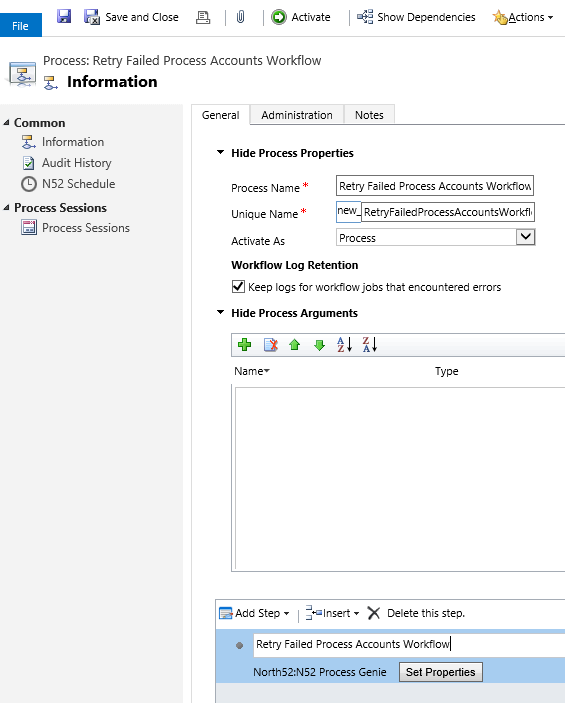 Note 2 : you will need to have created the Workflow "Process Accounts" beforehand. Also you should copy and paste CurrentRecord('regardingobjectid') into the Record ID field .